We feel it’s fair to say that light has magical properties in a sense – it attracts, compels, influences certain behaviours and moods, and can even touch our soul. At Root3, we fully understand how to use light to influence buying behaviour. In the retail space, good lighting plays a decisive role when it comes to highlighting your products and services. How you bathe your products in light largely influences the choices your customers make. Safe to say, lighting plays a crucial role in all retail environments. Great lighting makes retail outlets more appealing from the outside and creates just the right atmosphere for showcasing products, sparking a sense of impulse buying in potential customers. Not only that, it contributes to your overall brand image and provides for a more positive and productive work environment for your staff. Energy consumed in the retail sector has been steadily increasing over the years, given the long operational hours and increased demand for lighting. Unfortunately, a massive amount of energy is also wasted due to poor choice of lighting and inappropriate lighting controls. 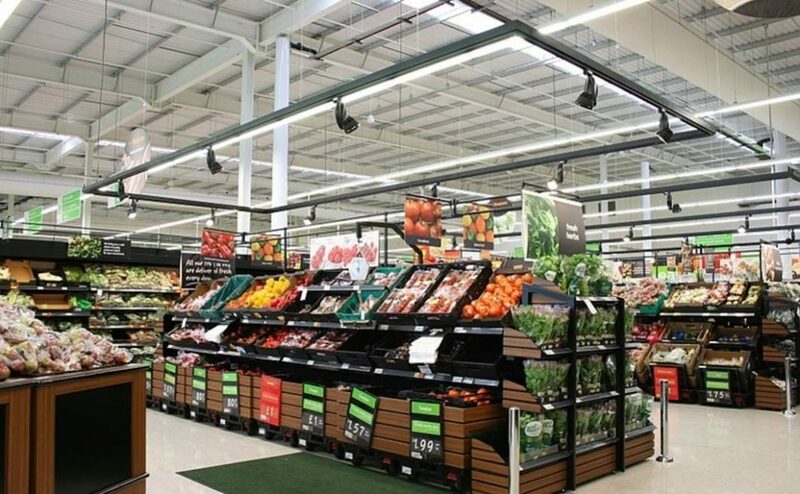 With an LED retail lighting solution, you’re not just looking at major cost savings but also reduced carbon emissions which can otherwise have a negative impact on the environmental. The right kind of retail LED lights can provide guidance, orientation and draw attention to specific products which can arouse the desire to purchase. Simply put, light fascinates the mind in many ways, particularly if your merchandise is beautifully displayed against a dark background, similar to the limelight effects you see on a theatre stage. It’s no secret that LED lights are far more energy efficient than traditional CFL lights – on average, retail LED lights consume close to 80% less power than CFLs. For a fact, today’s LED lights are so efficient that they can effectively provide the same lumens (illuminating ability) as incandescent bulbs, while consuming hardly 20% of the same wattage. The wattage alone isn’t the only reason to upgrade to LEDs – you are looking at major savings in the long haul, because as you upgrade your retail store, you are going to require more light. Think of the savings you’ll enjoy across the board. 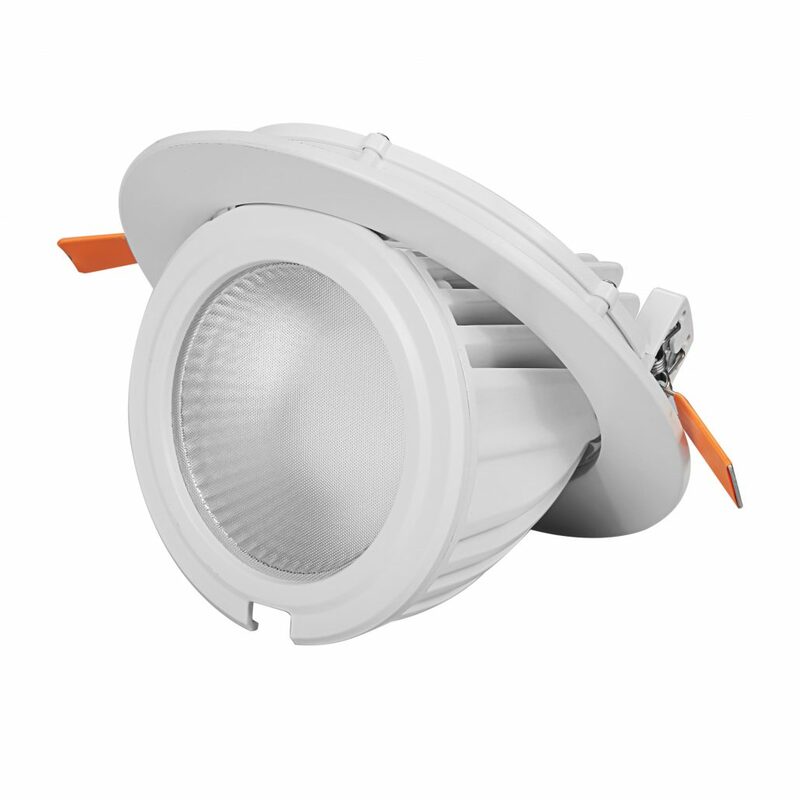 In addition to its environment saving effects, since LED emissions are relatively very low, you are looking at significantly improved durability and longevity – this means practically zero maintenance. LED bulbs are typically built to last, at a minimum, 50,000 hours of non-stop use. Plus, glare-free and even lighting across your entire store means you are not only greeting customers into an environment that’s warm and friendly but also boosting employee productivity. Reduce your carbon emissions, curb your electricity spending each month, create a more comfortable and welcoming environment, and cut down your retail maintenance needs – Root3’s LED retail lighting is your one-stop solution to achieving all of the above. High energy efficiency is a chief factor when specifying ideal retail lighting solutions, along with wide maintenance intervals and a high service life – these are typical hallmarks of Root3 retail LED lighting systems. Light has the ability to transform everyday sales spaces into a glorious stage to showcase your product. Your diverse requirements can be intelligently supported with unique lighting solutions. And this is typically a matter of striking the right balance between individual flexibility and automated interventions that create a specific lighting situation. Add to this light that can be modified in terms of intensity or colour temperature and you can create varying lighting effects to draw the focus of your prospects. Root3 has a good reputation when it comes to the installation of LED lighting in retail stores. Besides our expertise, one of the main reasons behind our success is that we source out top quality products from around the world. Having established long partnerships with leading and trusted manufacturers, we are able to meet all the standards of quality assurance. Our knowledgeable experts not only supply installation support but also reliable consultation and advice for LED lighting in retail stores. Their vast experience and knowledge enables them to suggest apt placement of LED fixtures on site. We understand that lighting a retail store may not be as simple as fixing a bulb on a wall or a ceiling. It involves much more. Since time immemorial, retailers have played with light to highlight their products that may appear to be more appealing to their customers. Lighting is a massive contributor to the look and feel of a retail outlet and LED lights are a cost effective method of improving the feel of a retail shop and promote additional sales for the owners. The story of retail store lighting begins with the use of Arc lamps in place of paraffin lamps. It narrates about the arrival of incandescent light bulbs and delves the use of neon tubes and fluorescent lamps as it comes to explore the present. Stating it directly, present-day retail lighting is all about LED lights. The emergence of LED lights has redefined retail store lighting, while bringing along numerous benefits such as cost reduction. LED lighting has shifted focus from lighting a premise for highlighting a product to providing a wholesome customer experience. It approaches retail store lighting with much more depth as opposed to conventional and neon lighting that purely focused on visual appeal. Lighting is now considered to be one of the major factors contributing towards alluring customers and LED lights surpass all else in this domain. At Root3, we have extensive experience of retail store lighting and we collaborate with other professionals to be able to provide effective LED lighting solutions that are innovative, long-term and cost-effective. While the transition from conventional retail store lighting to LED lighting is yet not complete, but it is surely on the way, with more and more retailers coming to realise about the benefits of using LED lights. Not only have LED lights been proven to contribute towards cost reduction but these are also flexible in terms of design and functionality. Our experts at Root3 can render valuable advice pertaining to LED lighting in retail stores. They understand that lighting a retail store is not only concerned with ensuring sufficient brightness but it is also to be perceived as a tool for creating moods. LED lights have found to be most useful in this area. Extending help for this purpose, our experts help retailers with enhancing the consumer experience of their visitors. This ultimately leads to better consumer engagement and higher returns on investment! Do you want to employ lights to influence the buying behaviour of your customer base and increase your sales? Get in touch with our team and benefit from our assistance to light your retail store via LED lighting in the right manner.